The Fees Must Fall (FMF) protests that seized South Africa from 2015-2016 were a right mess. On the one hand students were protesting for free, decolonised higher education using any and all means at their disposal. On the other hand the state and university management did their best to quell the growing resistance. Tear gas, stun grenades, and rubber bullets were vital components of their arsenal. The movement spun its own heroes: students who spoke about against social, political and economic exclusions and inequalities. The movement also had its own villains. 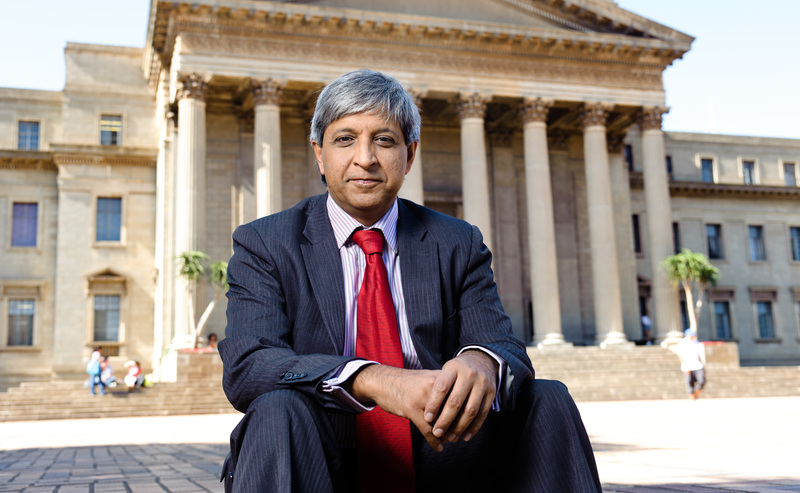 Its safe to say that students – and even to some extent the media – painted University of the Witwatersrand vice chancellor Adam Habib as a villain. Thereâ€™s no question that as the vice chancellor of Wits University, one of the most prestigious South African universities and also an important site of FMF protest, Habib sat in a precarious position. We often wondered what went on in his mind as he continuously called students violent, uncivil and dangerous. 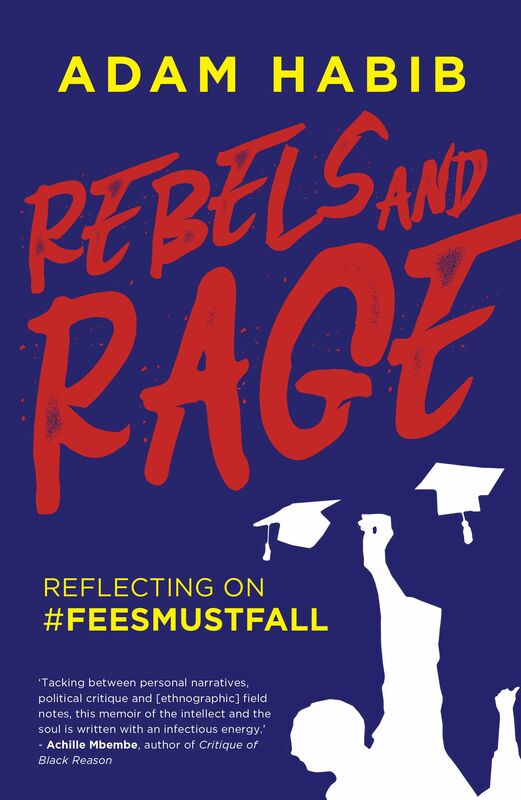 In his latest book Rebels and Rage: Reflecting on #FeesMustFall, Habib attempts to give both a â€œhistorical account and a thoughtful reflectionâ€ of the protests, as the bookâ€™s blurb reads. I would say itâ€™s more of a historical account from Habibâ€™s perspective than a thoughtful reflection. In his preface, Habib writes that he was approached by Jonathan Ball publishers to write about the movement. If youâ€™ve read any of his opinion pieces in Daily Maverick, you will have a fair idea of the kinds of politics endorsed by Habib. In his book, Habib also borrows liberally from his Daily Maverick work. Habibâ€™s book cannot be divorced from his perspective as a high-ranking member of university management, and also political scientist with liberal politics. His perspective from his background as an activist during the struggle against apartheid is indiscernible. Itâ€™s no surprise that Habib goes to great lengths to discredit the students who led the movement. Like a parent of errant children, Habib sets to lay out the misdemeanors of the students and their leaders. He portrays the students as angry, reckless, and lawless. (Hence the title, â€˜Rebels and Rageâ€™). Habib also goes into the toll the movement had on his own family, which was interesting. Ironically, he complained about the great inconvenience of having to move from his residence at Savernake to a flat in Killarney for safety purposes. Meanwhile students whoâ€™d protested in the movement were sleeping in libraries. The book was a valuable insight into the decision-making at Wits during the movement. It was also interesting that University of Cape Town (UCT) vice chancellor Max Price and Adam Habib would compare notes on the strategies they used during the protests. What remains, somewhat unsurprisingly, is the way Habib shirked his own responsibility as a vice chancellor and the hand he played in the movement. Habib goes out of his way to condemn the violent nature of the protests. But he does nothing to address the violence inflicted on students by his ploy for mass securitisation of the university premises. In his detailed critique of the movement he fails to recognise the interesting and thought-provoking conversations that emerged from the student movement about Pan-Africanism, race, sexuality, gender, identity. Instead he criticises the studentâ€™s race and gender politics quite extensively. What the book does reveal is the great gap in his understanding of the students and the student movement. Habib and the students never did and never will see eye to eye. Rebels and Rage is proof of this. With more and more people producing work documenting FMF, whatâ€™s worrying is how saturated the conversation is with privilege. By claiming that the movement was founded at Wits University, Habiberases the struggles that students at historically black universities had been fighting for and also the way the Rhodes Must Fall movement uncovered most of the ideas prevalent within the movement. By his own admission, with government concessions for free education, protesting students achieved in days what vice chancellors had been lobbying for for years. 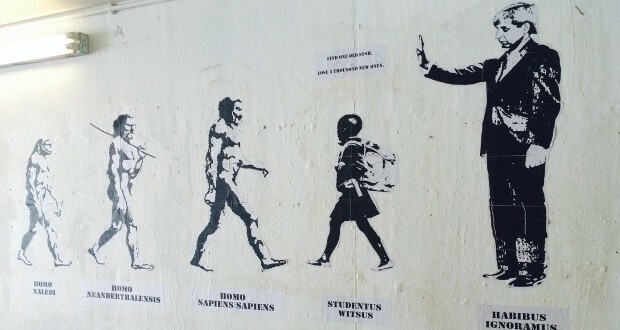 Students further achieved the impossible: what government calls free education. It would have been prudent for Habib to reflect on why.